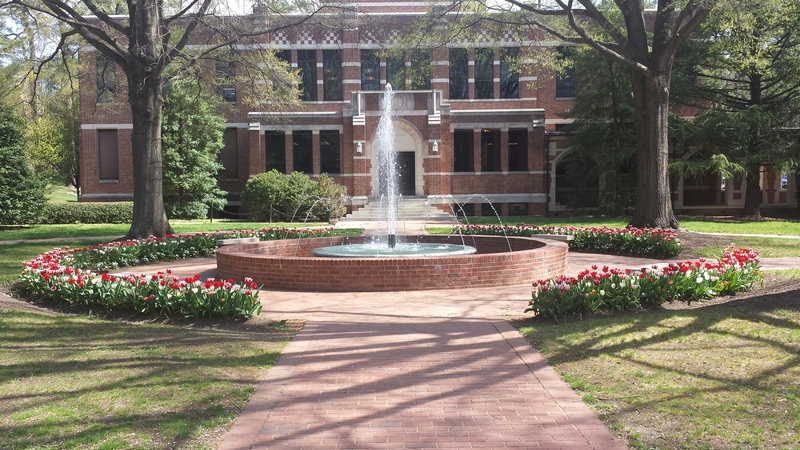 Students are back on campus. I love their energy and expectation. And because I work on campus, that energy and expectation spills over. I think about this time of year as a new beginning. If I was just entering college, what would I want to be when I grow up? What experiences would I want to have? It’s a great exercise and provides me an opportunity to reflect on what I’ve done and what I still aspire to achieve. When is the last time you reflected on your dreams? If you have not been fortunate to reach your dreams or have the experiences you thought you would have, now is as good a time as any to recalibrate. Maybe you need to set some funds aside for that dream trip. Maybe it’s time to sign up for a class to learn how to start your own business. Maybe it’s time to drop an activity that is not bringing you any pleasure. The start of the school year is filled with the promise of expectation. We are never too old to start learning or dreaming. Video inspires and engages the viewer. Video also distills a large amount of data/information into digestible information. So how do you go about creating a great video? Great videos don’t just happen. They require advance work, known as preproduction. During preproduction you write a script and prepare storyboards. It’s important to know the audience and the purpose of the video. Finally, it’s important to check your equipment in advance of shooting. Once you are ready to shoot, you are in the production phase. 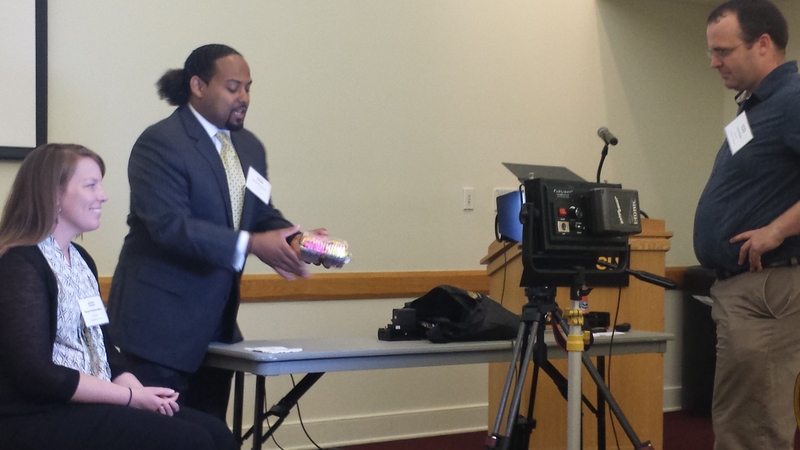 Jarrad Henderson and J. Scott Parker of Virginia Tech shared several tips at a recent workshop I attended. Most of us are a bit shaky so their advice is to use a tripod or other means of stabilization such as leaning against a wall. If sound is critical to the video, then use a lavaliere microphone for interviews. This will ensure higher quality sound. When shooting it’s important to record each shot long enough to assist with ease of editing. Jarrad recommends staying in one spot for at least 20 seconds. Shoot in sequences. This means shooting a wide shot, then medium and then a close-up. Doing this enables you to provide context followed by more detail. Finally, you are able to go close-up and provide a poignant moment. Think about the beginning. Jarrad said, “You want to make the first 10 seconds count.” He noted that across the internet, video finish rates are poor. With that in mind, he also recommended skipping the title card, which takes up valuable seconds. Instead, to get your name included have individuals wear branded shirts or have appropriate signage in the background. As with any project, once you have finished shooting, be sure to transfer your footage to a backup drive. In fact, J. Scott urged using multiple digital storage solutions. Volunteer. Not only does this give you experience, it shows that you are willing to work. You also will meet other individuals who can serve as references and introduce you to other people. Find a career group. These groups meet weekly or monthly and are designed to help you land a job. A key benefit is the support and encouragement you receive. You also will hear from speakers, who will provide advice on improving your resume and networking among other topics. Connect with your university’s career center. Even though you have graduated, most universities will provide you with support and often can link you with alumni who work in your field. Check the unemployment office listing. A lot of state jobs appear there and nowhere else (except on the individual agency’s website, and it can be a challenge to keep track of all of them). Schedule learning interviews. Think of all the people you know and then identify individuals with whom you can learn something. You aren’t asking for a job. You are asking the person for career advice. Also, ask each person you meet with if they would make an introduction for you to another person. Meet over coffee because that is inexpensive and the expectation is that the meeting will be 30 minutes or less. We all know the benefits of attending a conference. They include learning about innovative approaches and ideas, expanding your contacts and gaining insight from looking at your work outside of your daily environment. So how can you make the most of a conference? Tools Most of us rely on electronic devices so be sure you have your chargers and backup batteries. I often travel with a small multi-pronged extension cord because if I am charging multiple devices, there are never enough outlets. I also travel with my own mobile hotspot. According to Benchmark Resorts and Hotels 2014 list of trends, most conference attendees bring three mobile devices to conferences. While technology is powerful, you also will want to go old-school. 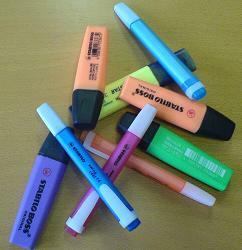 A highlighter is great for marking the conference program with sessions you want to attend. A notebook and pen come in handy when you discover you forgot to charge your laptop or tablet. Introductions You will be introducing yourself countless times throughout the conference. Instead of only stating your name and job title, tell the person something interesting about yourself. Think of this as a twist on the elevator speech. Mingle At break time, don’t check your emails. Instead, introduce yourself to your colleagues. I did this at a recent conference. I turned around and said, “I’m going to interrupt you on your device so we can network.” He laughed and we had a good conversation. And, it turns out he used to work with my new top boss so I also got some great tips. If you aren’t sure how to start the conversation, ask the person what they thought about the last speaker and the topic. Leverage social media If there is a conference hashtag follow the tweets to learn what others think about the speakers and topics. Share your take-aways on Twitter, too. At the end of the day, share some highlights by posting to LinkedIn. If there are sponsors, and it’s appropriate, acknowledge them through social media. Social media is also a great way to acknowledge conference organizers and hotel staff. Debrief During conferences I make lists of people with whom I want to follow-up. I make lists of books I should read and websites I should visit. I make lists of things I need to do when I return to the office. And I learn a lot. Once back at the office, I use the first morning to pull everything together. I make one master list that for the next few weeks I use to ensure I’m completing my action items from the conference. I also review my notes and create a way to share my take-aways with my colleagues. This can take the form of an electronic newsletter, a PowerPoint or a detailed email.